1. 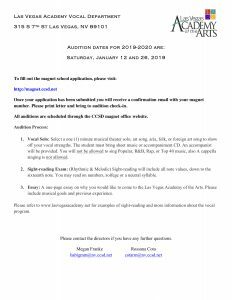 Vocal Solo: Select a one (1) minute musical theater solo, art song, aria, folk, or foreign art song to show off your vocal strengths. 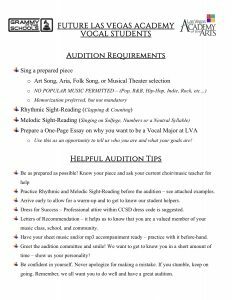 Student must bring sheet music or accompaniment CD. An accompanist will be provided. Auditionees will not be allowed to “sing-along” with a CD. You will not be allowed to sing popular, R & B, rap, or Top 40 music. A cappella singing is not allowed. 2. 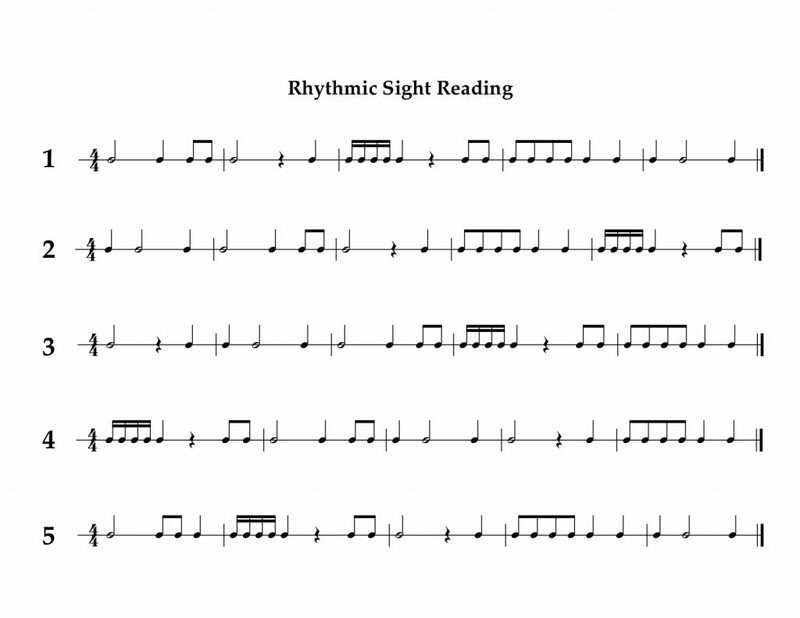 Sight-reading Exam: (Rhythmic & Melodic) Sight-reading will include all note values, down to the sixteenth note. 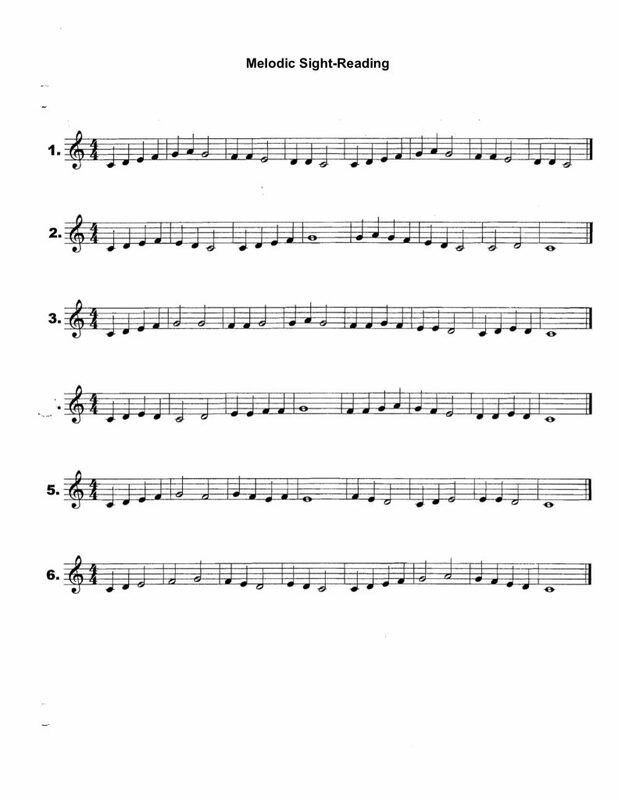 You may read on numbers, solfege or a neutral syllable. 3. 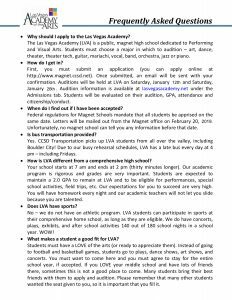 Essay: A brief one page essay on why you would like to come to the Academy. Please include musical goals and previous experience.